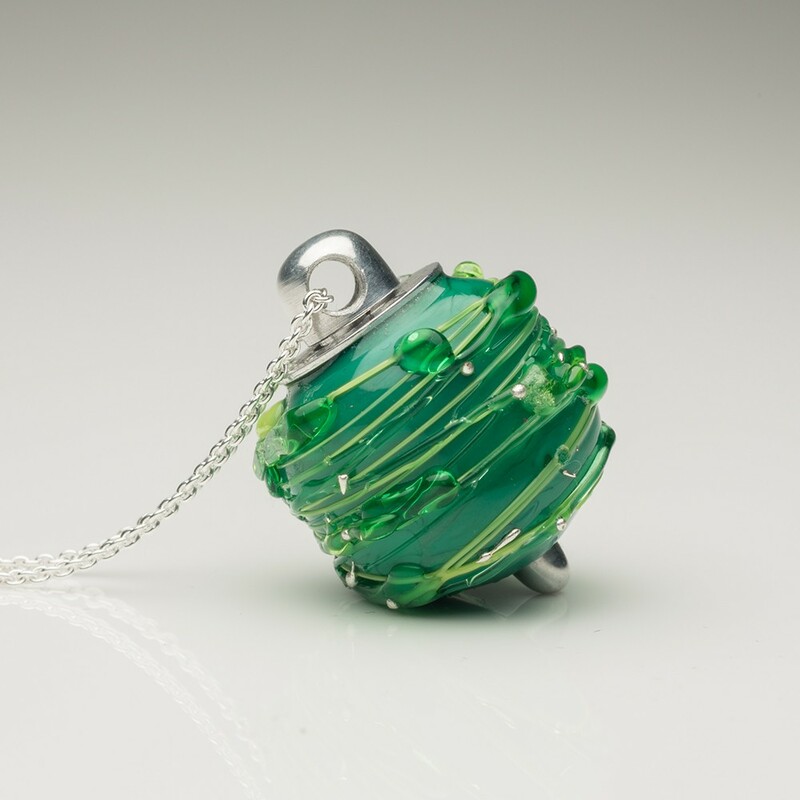 Your Treasured Memories® can be held forever in these pure Murano crystal hand-blown Green Glass bubbles that shine along with the sun that pass through them. by Lila Nemirovsky. 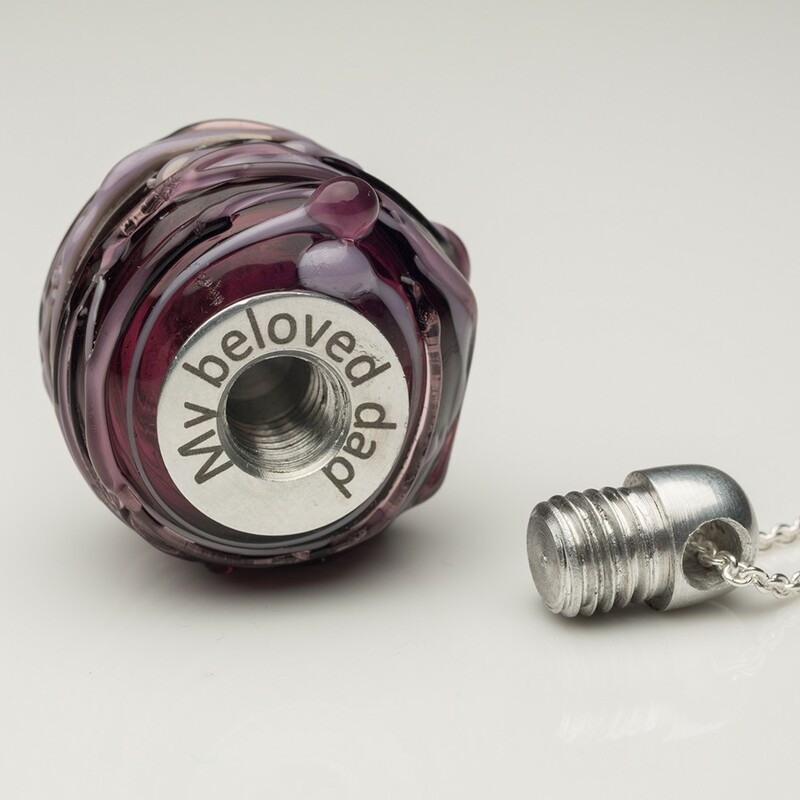 This cremation Murano Glass Keepsake Pendant can be customized with engraved name, dates, initials or heartfelt message for a loved one on the inside of the bangle with up to 20 characters (including spaces) in one of our most popular font styles: Block, Script, and Traditional. Before we begin the engraving process, a proof will be sent to you for your approval.